1. 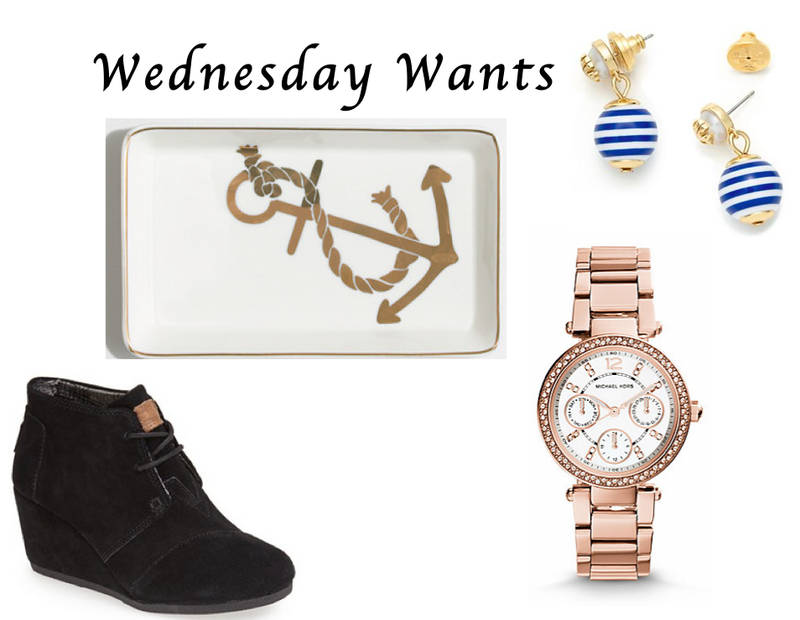 Anchor Jewelry Tray: I am anchor obsessed (delta gamma alum!) so I adore this little jewelry tray. It’s a great price too! 3. TOMS Wedge Booties: I’m glad TOMS has added this bootie to their line up. Cute, practical and helping out a cause. triple win in my books. 4. Michael Kors Rose Gold Watch: You may remember from this post, that I am full on obsessed with rose gold. I have been looking for a rose gold watch and I love this MK one. 5. Over the Knee Boots: I finally wore my previous pair of OTK boots to death (after 3 seasons of wear) so I am in the market for a new pair! OTK boots are so versatile and I love the mixed media and gold detailing on these Aldo ones. 6. ASOS Pink Midi Skirt: I actually posted this skirt in Wednesday Wants a few weeks back, but I am posting it again here because a) I still love it and b) it’s gone on sale and is now UNDER $25!! Score!! 7. Front & Back Earrings: I have been wanting a pair of this new style of earring since my friend Natalia showed up wearing a pair this weekend. They are so chic and a nice way to bring a ‘trend’ to an outfit without going overboard. 8. Lulu’s Dress: I love me an off white dress. The black trim and assymetrical hem on this are such a cool touch. I want to wear this with a leather jacket and ankle booties. 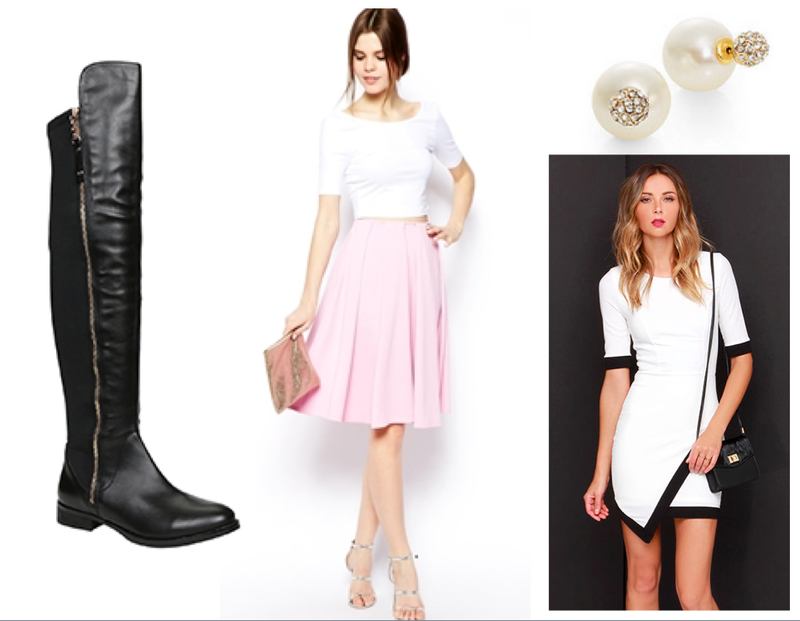 Okay I am obsessed with that pretty pink midi skirt! I adore that colour! Isn't it so cute?! I ordered it online, so I'll tell you about the quality once I get it! !